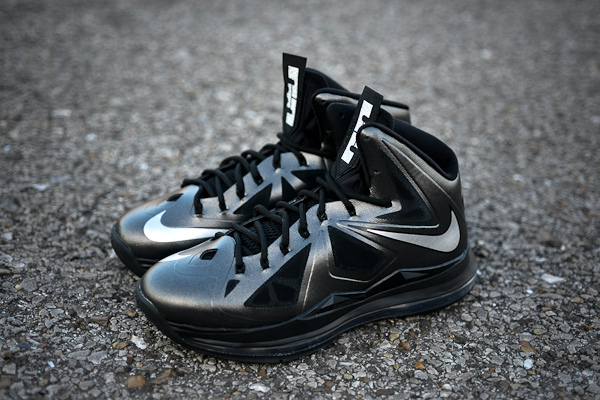 This color way of the Nike LeBron 10 is inspired by black diamonds and also known as carbon. The sneaker features a Black / Black color way, trading slightly different tones of Black throughout the entire sneaker. There are also accents of Metallic Silver while a "C6" logo on the medial tab is present. That final aspect is a play on LeBron's Heat jersey number as well as carbon's chemical linkage.